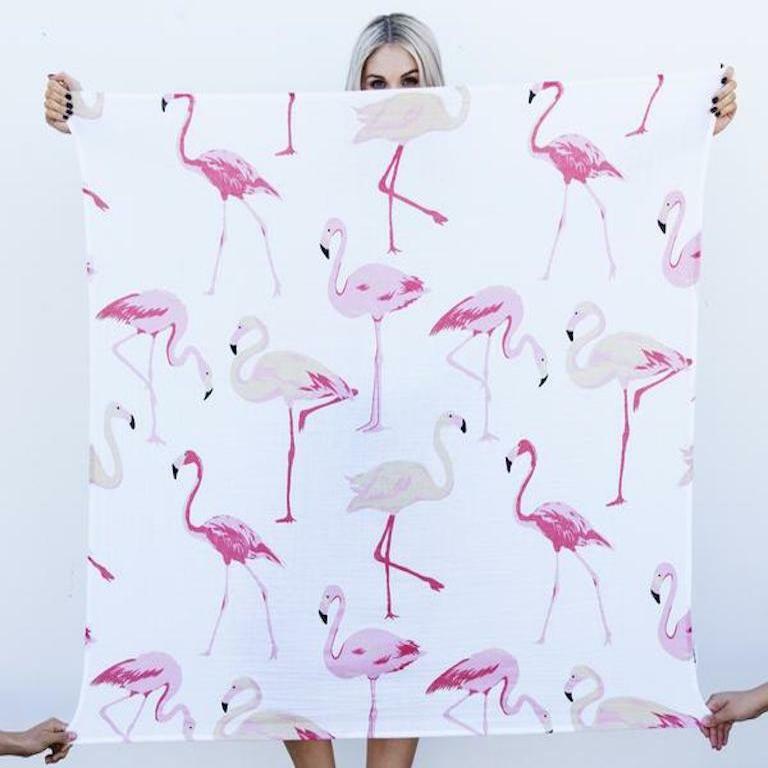 Inspired by sunny days in the tropics, our oversized FLAMINGO print is an essential for mum and bub. 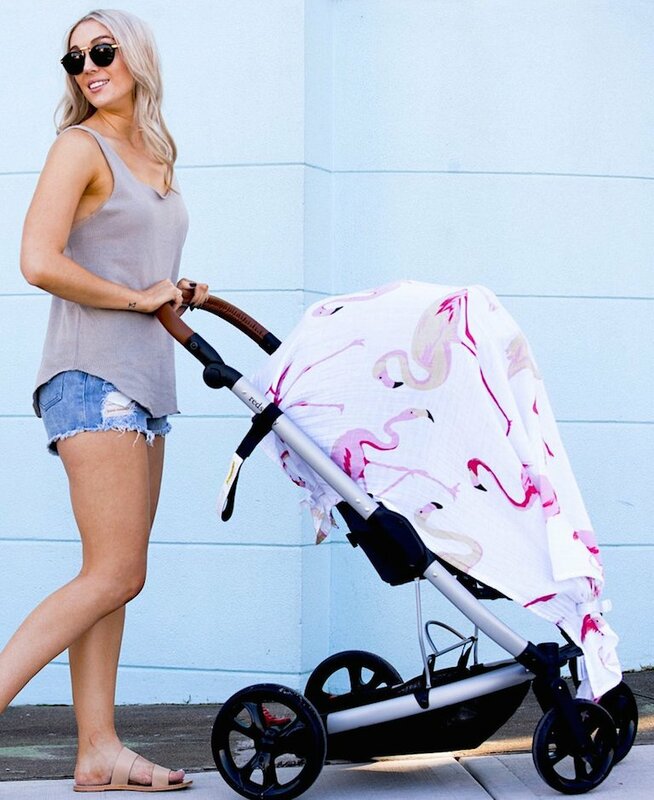 Bold patterns and colours will keep you looking cool and your baby snug. 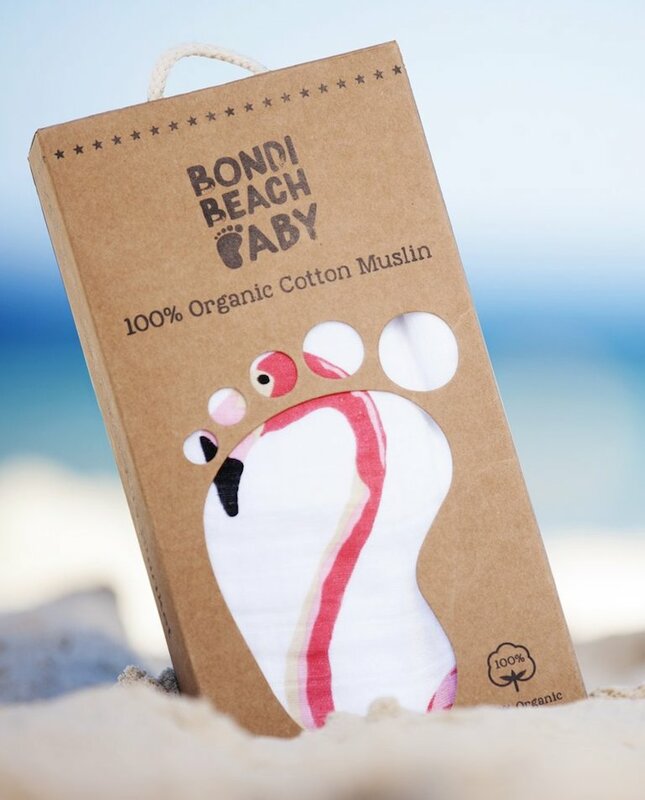 Why not add a sense of style to your day with Bondi Beach Baby wraps. Our soft swaddle blankets are made from the finest quality Global Organic Textile Standards (GOTS) Certified Organic Cotton Muslin. Light weight, breathable and an easy to use. Use our wrap as a swaddle, baby blanket, pram cover, breast feeding cover or cool scarf.